The dimensions of the damaged GRP box at the wall. The width and height at the wall, and the depth from the wall should be all that you will require. If necessary, print off the data sheet “How to measure a meter box” before you go to measure the box. 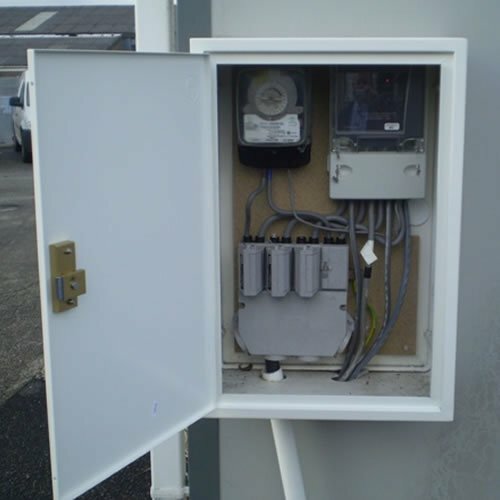 Is it a gas or electric meter box? Select the type of box from the list in the table, compare the dimensions and choose from the available door and frames depending on your preference for standard or front fixing. If your dimensions do not appear in the table, please contact us. Fitting all the Ritherdon meter box repair door and frame units is quite straight forward requiring only a few simple tools and basic DIY skills. Faster to fit (~5-15 min) than having to replace a whole meter box (~half a day plus several hundred pounds connection fee). Plus, there’s no need to have the meter disconnected and reconnected with the utility company, which is where the biggest time and cost saving can be. 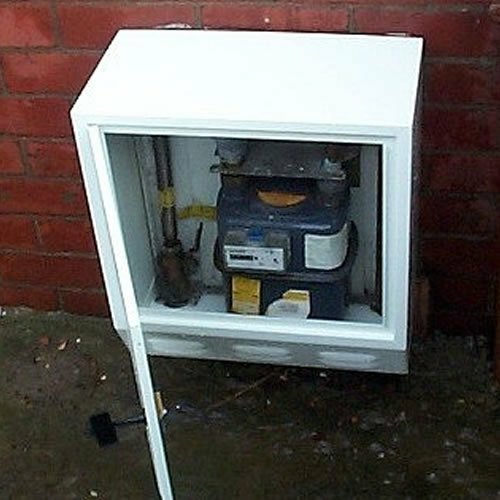 The Ritherdon meter box repair door and frame units cover all the old GRP with powder-coated steel, you have a much better looking and secure meter box, after just a few minutes work. We supply all models in the range with screws and bushes for installation, and each unit comes complete with a long-reach, easy-to-handle plastic key. Installation can be completed in a matter of minutes using the choice of fixing holes provided.